Whoever does not use WhatsApp will throw the first stone. And is that, with its more and its less, is the application of instant messaging par excellence. But it seems that Facebook, the company owner, is interested in having features more typical of a social network. A good example is the arrival of ephemeral content with the States , which a few days ago were updated with this novelty . There are many who do not like this change of course that has taken WhatsApp, but the success of this service is still undisputed. In fact, the company of Mark Zuckerberg can boast of having more than 3,000 million users of Facebook, WhatsApp or Instagram . If we focus only on WhatsApp, the numbers are overwhelming: more than 1 billion active users each day . With so many people using this application, it is logical that tools emerge to complement their services . So let’s take a look at some of them with which we can get the most out of WhatsApp. We’ve seen a lot of changes in this app since it appeared in 2009. However, as far as notifications are concerned, it’s not that it has changed too much. What we can do now is respond directly from the same notification. But the way ads appear and how they display content remains very similar to years ago. Many users would like this aspect to be different. Like for example, the Facebook Messenger bubble system . Contrary to what it may seem, there is a very simple way to have something like that in WhatsApp. Simply installing an application . There are several of these, and an example is WhatsBubbles . It’s available for free for Android devices. Its configuration is very simple and it fulfills what it promises. If we want to separate the work life of the staff in a single device, there are options like Parallel Space . It is an application that clones and manages several accounts. Offers support for almost all Android apps, from messaging and social networking services to game accounts. Currently, it is not unusual to have more than one smartphone, or have a tablet, for example. So it can be very useful to be able to synchronize the same WhatsApp account on several devices. Or vice versa, manage multiple accounts from the same device. Surely more than one has raised it, for the comfort offered by this possibility. For there are applications with that purpose. One of them is WhatsWeb Double , which can be downloaded free for Android (contains ads and integrated shopping). 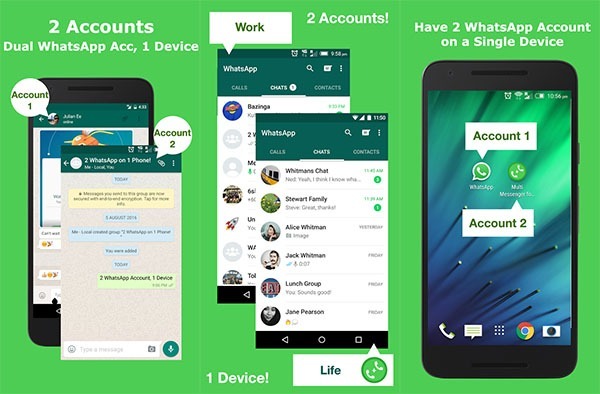 There is another, Multiple Messenger for WhatsApp , which serves to have two accounts on the same smartphone . Many times we are not available to answer. No calls or messages. But we know that not responding in WhatsApp is a reason for many, but many discussions. So having a service that acts as an answering machine can be very helpful. A good example is WhatsApp Answering Machine , a free application that fulfills what its name implies. What it does is automatically send text messages to our contacts, just like the voicemail that jumps when we do not pick up a call. Among its virtues, it emphasizes that it does not update the state of our connection. That is, we do not appear online . In addition, it allows the configuration of the automatic message and the time that must pass from the last one that is sent. Another interesting feature is that it can be activated for group chats , apart from the conventional conversations. Many users are regulars of voice notes and speak more than they write. But there are times when we can not hear the audios, for whatever reason. For this, there are very useful tools to convert the voice into text . There are several applications, but one of those that work best is Text Audio for WhatsApp . Its operation is as simple as pressing on a voice note , choosing the option to share and select this app. It converts audios with a duration of up to one and a half minutes , and is compatible with ten languages, the Spanish among them. There is also another option, about which you will find all the information in this article . We all receive images, videos and audios in WhatsApp conversations. Especially in group chats, which end up full of shared files that occupy memory in our smartphone . The typical warning of insufficient space may even appear. Soon the WhatsApp solution will arrive so as not to take up so much space on the mobile , and in tuexpertoapps we tell you these tricks to save space by deleting photos and videos from the States . But for years there are applications to clean files that we do not want . 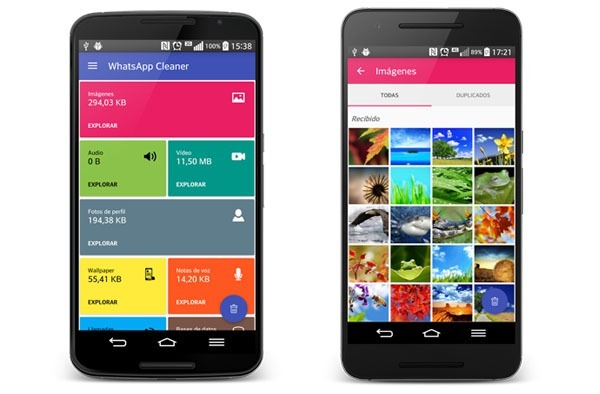 One of them is Cleaner for WhatsApp , which weighs just 2 MB and with a very intuitive interface. It allows to choose the files that we want to eliminate , or to use the option of the trash to expedite the process sending everything there directly. One of its most interesting points is that it is able to identify duplicate files that are taking up space. This is something that we often find, that we inadvertently have saved more than once an image, video or audio of WhatsApp. As you can see, it is possible to extend WhatsApp functions . On the other hand, the company continues to add features to make it more complete. The latest arrivals were zoomed in profile photos , in addition to shortcuts . 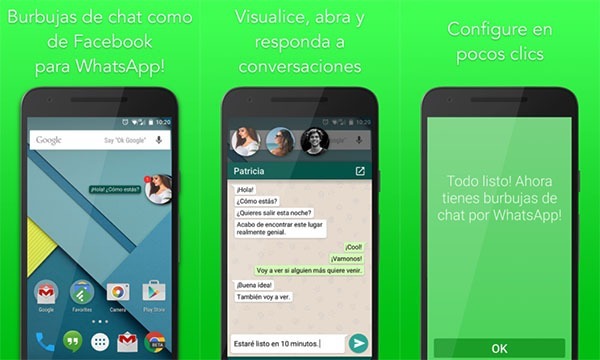 What do you think of these 5 ways to make more of WhatsApp? Would you add any?